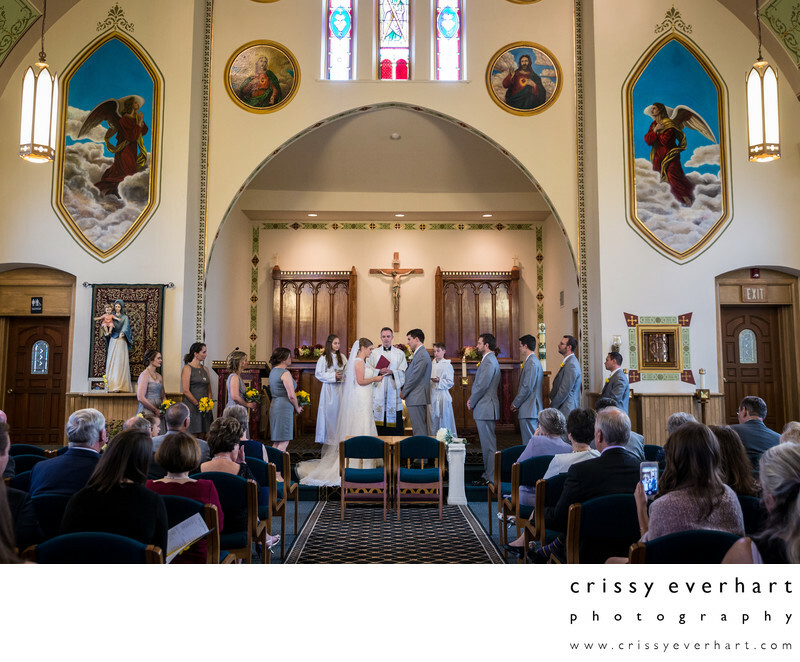 Catholic wedding ceremony at The Old Church of Saint Andrew in Newtown, Bucks County, Pennsylvania. The bridal party accompanies the bride and groom at the altar as they exchange vows and rings in front of 150 friends and family members. Location: 135 S Sycamore St, Newtown, PA 18940.